Death is something we all confront--it touches our families, our homes, our hearts. And yet we have grown used to denying its existence, treating it as an enemy to be beaten back with medical advances. We are living at a unique point in human history. People are living longer than ever, yet the longer we live, the more taboo and alien our mortality becomes. Yet we, and our loved ones, still remain mortal. People today still struggle with this fact, as we have done throughout our entire history. What led us to this point? What drove us to sanitize death and make it foreign and unfamiliar? 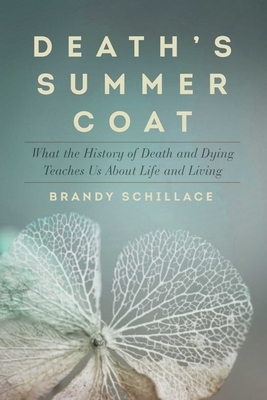 Schillace shows how talking about death, and the rituals associated with it, can help provide answers. It also brings us closer together--conversation and community are just as important for living as for dying. Some of the stories are strikingly unfamiliar; others are far more familiar than you might suppose. But all reveal much about the present--and about ourselves.